The location of a business sometimes makes a huge difference in a firm’s economic prospects. When you consider cities in the United States, which ones represent the best sites for your company? Many choose to locate to sunny Phoenix, Arizona. The region’s excellent infrastructure and diverse local economy hold appeal for businesses of every size. Consider our list of 12 reasons to lease a Phoenix office space , today. Why Rent Office Space in Phoenix? 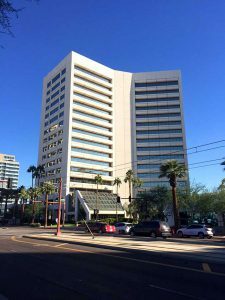 Why should you consider renting a Phoenix office space? The solid values of a diversified, dynamic, multi-faceted economy have helped transform the wonderful city of Phoenix, Arizona into a regional commercial hub. With ready access to resources and transportation, plus a well-educated, talented labor force, Phoenix commercial real estate still offers some excellent bargains for savvy entrepreneurs. The charming Southwestern vistas of this sprawling urban area will likely continue to inspire business interest for many years into the future. As a Sunbelt location, Phoenix continues to attract new residents every year. Your enterprise may find this combination of advantages beneficial. Phoenix draws upon a well-educated, diverse population. With an excellent educational system that includes over 18 separate public school districts, plus several colleges and universities, you’ll gain access to a well-educated, talented work force when you locate a business here. The huge University of Arizona maintains a campus here, and numerous graduate and business research organizations conduct activities within the local area. Phoenix residents also enjoy many opportunities to attend junior colleges, vocational schools and technical institutes. Unlike some metropolitan areas, Phoenix benefits from a genuinely diversified local economy. Manufacturing, agriculture and tourism all contribute to business activity in this dynamic city. The community also boasts many state and federal employers. Recently, high-tech and service industries have gained increased importance. The presence of so many different economic sectors contributes to the resilience of the local economy. If one industry suffers a slump, diversification helps increase the chances that other segments within the business community may remain strong. Your business will likely suffer a lessened risk of significant losses in a setting involving a well-diversified local economy. Some of the nation’s largest business enterprises have chosen to locate their headquarters within the Greater Phoenix Metropolitan Area. For instance, companies as varied as Best Western, PetSmart, Banner Health, Diamond’s, U-Haul, FreeLife and the GreyHound Corporation have all chosen to place important offices in the Phoenix area. 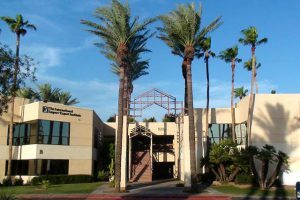 Phoenix offers a great location for many businesses because of its many state-of-the-art medical facilities. Some 18 metro hospitals provide thousands of beds for patients. Both Phoenix and surrounding communities have given rise to numerous senior living communities, as retirees gravitate to a warm Sunbelt location with readily accessible medical facilities. A lot of households still decide to retire to the Phoenix area, and this situation assists the long term strength of the local economy. Medical facilities that include hospitals, emergency care clinics and senior care centers ensure that employees of many businesses can obtain convenient health care services in the local area. Phoenix sits only 376 miles from Los Angeles, allowing businesses to draw upon West Coast vendors and access Pacific markets readily, despite the city’s inland location. Phoenix also enjoys comparatively close proximity to Mexico, making it a growing center for international commerce. With convenient access to most surrounding parts of the Southwest, Phoenix has become a regional hub for numerous growing companies. Two main thoroughfares contribute to the ease of roadway transportation through Phoenix. To the North, I-17 offers excellent access from Phoenix to Flagstaff. To the South, I-10 connects Phoenix with Tucson, and extends towards the West to offer easy a gateway to Southern California. Phoenix also provides an excellent local airport, plus train and bus service. With fast, effective avenues for transportation both inside Phoenix and within surrounding enclaves, this region appears poised to continue to maintain reliable, fast contact with other leading Southwestern cities. Business locating in Phoenix discover numerous recreational and fitness opportunities available for their employees. With many sunny days, and some 120 city parks, the city appeals to health-conscious people who enjoy outdoor activities. Miles of hiking and biking trails allow residents to access resources to help maintain great physical condition. The city supplies additional exercise options, including available swimming pools, tennis courts and golf courses. Businesses can help their employees remain fit by drawing upon these excellent resources. Although housing prices have increased during recent years, especially since 2009, Phoenix still remains far more affordable than some other popular urban areas of comparable size. People relocating into the area find a range of housing prices and amenities, a big plus for many businesses. In addition to its lovely sunny climate, Phoenix boasts some spectacular tourist attractions. Nearby Phoenix International Raceway appeals to auto racing enthusiasts. The city also enjoys world-class team sporting events, including basketball, baseball and other athletic competitions. Businesses which depend upon the hospitality industry will find the presence of so many attractions within Phoenix very helpful. For instance, tourists today frequently visit Phoenix to tour Taliesin West. Currently a national historic landmark, the innovative home once served as the desert residence of the acclaimed architect Frank Lloyd Wright. 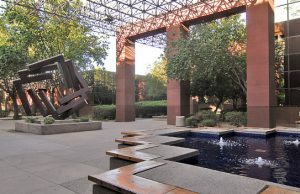 Three major museums in the city include the renowned Phoenix Art Museum, the Heard Museum of Anthropology and a collection maintained by the Arizona Historical Society. With excellent shopping and dining opportunities located within the community as well, Phoenix draws visitors throughout the year. Ongoing cultural events throughout the year help enliven and stimulate many retail and service businesses in Phoenix. In addition to festivals, concerts and other cultural entertainment opportunities, a large rodeo event every March focuses upon the cowboy traditions of the Southwest. Businesses today frequently schedule conferences and seminars in this large Arizona city. Over 30,000 hotel rooms in the Phoenix area accommodate a regular flow of visitors. This commercial activity helps stimulate the city’s thriving business climate. As the Internet has expanded, telecommunications have developed and grown in Phoenix. In addition to many Internet Service Providers serving the area, residents can access local television and radio stations readily, also. Companies seeking office space in Phoenix consequently enjoy ready access to state-of-the-art telecommunications technologies. Companies anxious to impress visitors and business partners still discover some excellent commercial real estate values in the Phoenix area. Properties have appreciated during the past year in the Downtown Phoenix area, with some sources advertising average prices of slightly over $15 per square foot for some retail spaces. By acting quickly, enterprises can reserve space and benefit from improving business conditions. Recent media reports have indicated significant increases lately in residential and restaurant locations. Claiming a business location now may provide a great way to enjoy growth space in the future in a rapidly appreciating market. You’ll want to find office space with excellent air conditioning in Phoenix because on many days, summer temperatures rise over 100 degrees Fahrenheit. In recent years, Central Phoenix has witnessed some significant urban redevelopment projects. These efforts helped reinvigorate the city’s economy. Phoenix serves as the capital Arizona. If maintains a prominent government sector. Stunning Southwestern desert vistas surround Phoenix. Many properties benefit from this stunning setting. 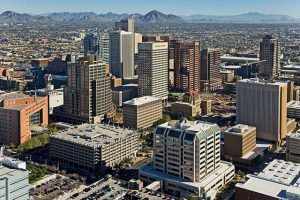 The appreciating strength of Downtown Phoenix will likely enable that part of the city to serve as a magnet for certain professional offices, even as many suburban locations draw startups and companies requiring room to expand. One key trend in Arizona relates to demographics. As the large Baby Boom cohort nears retirement, many will move to Sunbelt locations like Phoenix. You’ll discover many state government offices located here. This fact benefits companies that depend heavily upon administrative agencies as a customer base. Millennials gravitate towards some neighborhoods. Startups in certain industries that benefit from renovation projects consequently find a warm reception in the city. Executive suites in Phoenix offer some captivating scenic views. Many architects in this lovely metropolis have taken full advantage of Southwestern vistas. This elegant 16-story office tower makes a striking impression. It is a Class A building that features a park-like area with outdoor seating. Move to this prestige address to enjoy a prime spot right in the midst of the Central Corridor of the Phoenix business community. The six-story parking garage furnishes ample parking. Elegant executive suites will help make this site a great environment for your business! This spacious four-story business complex, also known as Metrocenter Business Park, offers generous parking and fast access to I-17 and bus transportation. You’ll thrill to discover the beautiful garden landscaping inside this attractive building. Security features contribute to the suitability of this complex for many professionals. When you search for attractive Phoenix office space, don’t overlook this outstanding value. This eye-catching building maintains a magnificent front entrance flanked by two stately palm trees. Lakeside Center’s resort-like ambiance boasts a stunning interior decor, plus surrounding courtyards with fountains. Convenient access to I-17 and a nice on-site deli will allow your staff to enjoy working at this location. Move your executive suite here today! Sign up for our Tenant Newsletter and get local news and updates from Boxer Property and your local community. CONTEST: How Does Your Company Go Texan? How is Boxer Organized to Manage Sustainability? What is "Boxer Energy and Sustainability Tracking (BEST)?